This paper presents a geometric transformation invariant to arbitrary translations, rotations and scales changes. The output contains only intrinsic information on the internal structure of pattern consisting of pairs of angles. This approach does not use specific feature points of the curve as curvature maxima, torsion extrema or curvature discontinuity. 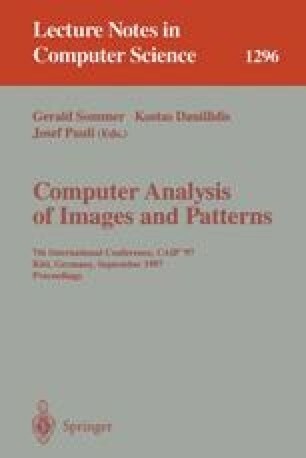 The quasi-linearity feature of this transformation allows recognition of two or more images without segmentation. It also allows the reconstruction of image when a part of it is missing or the recognition when extra noise curves are on the same scene.